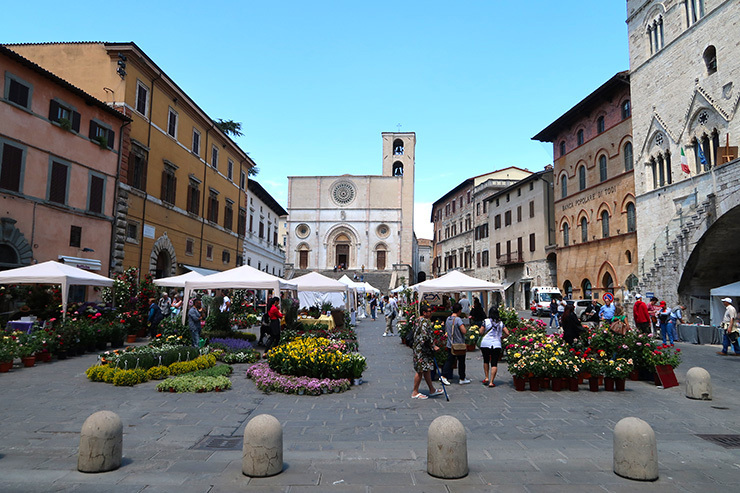 My husband and I recently visited Todi as they were holding a market. 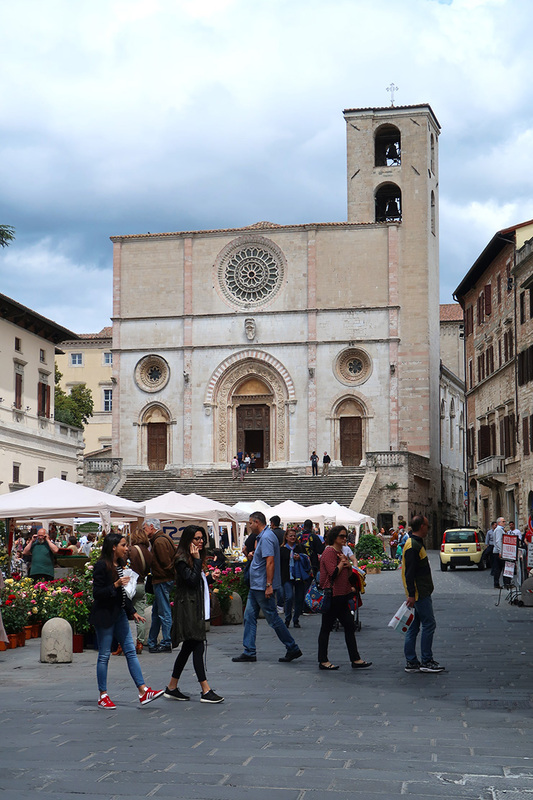 Todi is just about twenty minutes from our house and is a great little town to walk around. I especially love sitting at one of the outdoor tables in the main piazza to people watch while sipping an aperitivo. As lunch rolled around, we began discussing restaurants, and we finally decided to head to Cibocchi, a small rustic place just outside of Todi. The food is always good, and you can’t beat the prices at Cibocchi! We each ordered two courses, and being particularly enamored of artichokes lately; I ordered the penne with artichokes. When the pasta first arrived, I was disappointed to see that the artichokes had been cooked so long that they almost turned to mush. My disappointed turned to delight as soon as I tasted the pasta, however. The artichokes had a lemon flavor which complimented the artichokes perfectly. 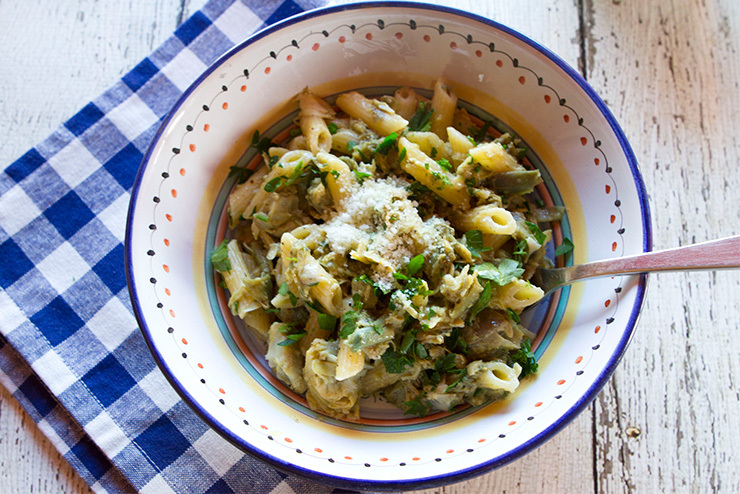 It was obvious that the artichokes had been cooked in olive oil which managed to enhance their flavor. 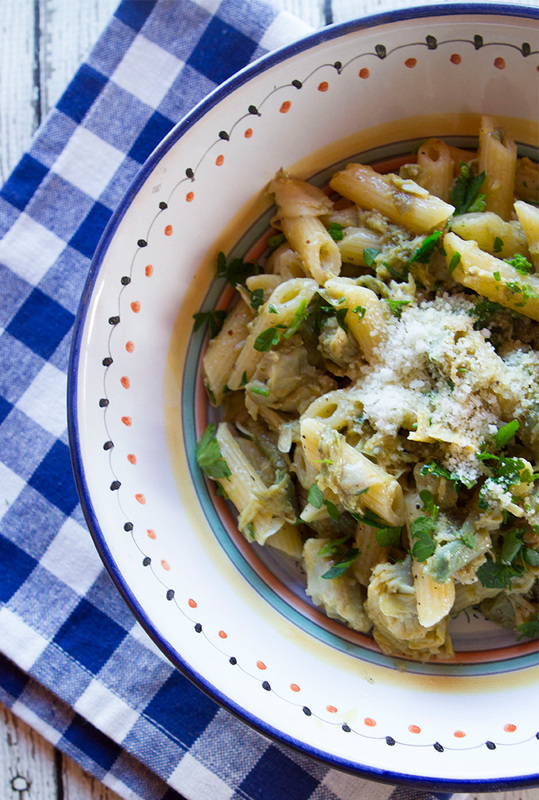 Because the artichokes were so soft, they became a sauce completely coating the pasta. I thoroughly enjoyed this pasta dish and knew I had to try and replicate it at home. I call this dish Melted Artichoke Pasta as the chokes are slowly roasted until they all but melt in the pot. I paired my sauce with penne pasta, but any short dried pasta would work such as fusilli or rigatoni. You could also use a long pasta such as spaghetti or linguini. 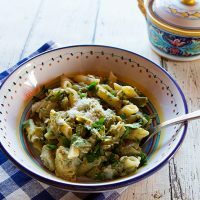 I like the combination of artichokes and Pecorino cheese, so if you do decide to sprinkle some grated cheese on this pasta dish, I would suggest going with Pecorino. Although cleaning fresh artichokes may seem to be a daunting task for some folks, it really is much easier than you think. Check out my step by step tutorial on How To Clean An Artichoke. 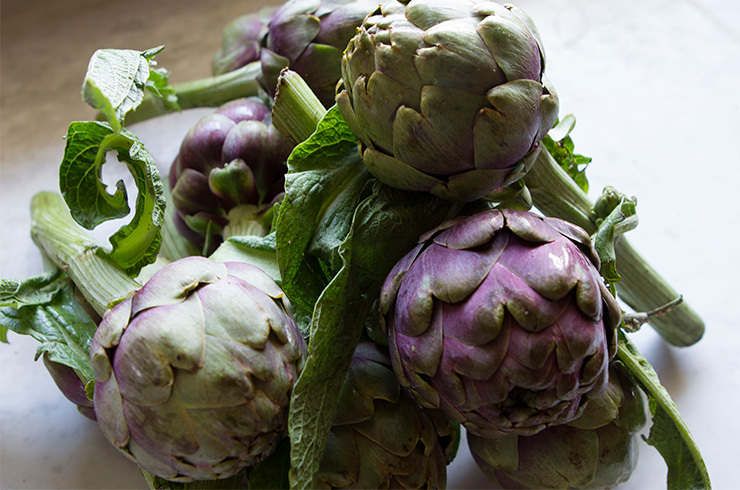 There are certain qualities you need to look for when buying fresh artichokes. Look for tight, compact leaves, no wrinkling, and few brownish blemishes. Choose smaller, rather than the larger artichokes (unless you are planning on stuffing them) and those that feel heavier in your hands rather than light. The smaller variety has more edible leaves and less prickly chokes. It is said if you rub two artichokes together and they squeak; they are fresh. To clean your artichokes, with a sharp knife, trim off all but 1 inch of the stem of an artichoke. Next, break off and discard the older, tough outside leaves, and continue to do this until you reach the more tender, pale green leaves inside. Next, cut off the top 1/3 of the artichoke and discard. You can now clean up the ragged areas along the stem with your knife. Unless your artichokes are very small, you’ll need to remove the choke, and can you do this by simply cutting the artichoke in half and scraping out the fuzzy center and prickly leaves. If you require the artichoke whole, or if you plan to stuff them, spread apart the center leaves and with a sharp-edged spoon start to scrape out the choke. Continue until you have removed all the prickly, sharp, center leaves. Rinse your artichoke and place it in the lemon water until you are ready to use. Place the artichokes in a pot and cover with water. Cut one of the lemons in half, squeeze the juice into the pot, then add the halved lemons. Bring the chokes to a boil over medium heat, then cook until tender when pierced with a fork, about 10 minutes. Drain the chokes, then place in an oven-proof casserole dish along with the olive oil, salt, pepper, and sliced garlic. Squeeze the juice from the remaining lemon over the artichokes. break apart when stirred, about 45 minutes. Remove the casserole dish from the oven, and stir in the fresh parsley and keep warm. Bring a large pot of lightly salted water to a boil, then add the pasta and cook just until it is “al dente”. 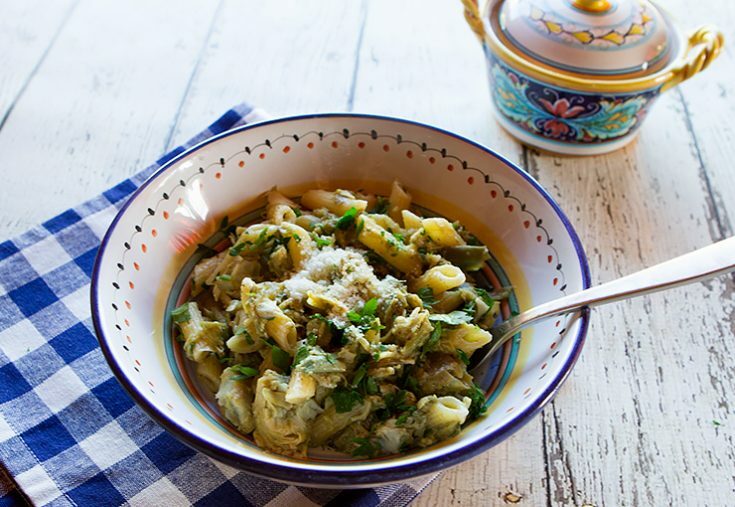 Return the pasta to the pot along with the artichoke mixture, and stir vigorously with a wooden spoon to mix over high heat, adding in some of the pasta water to loosen the sauce. 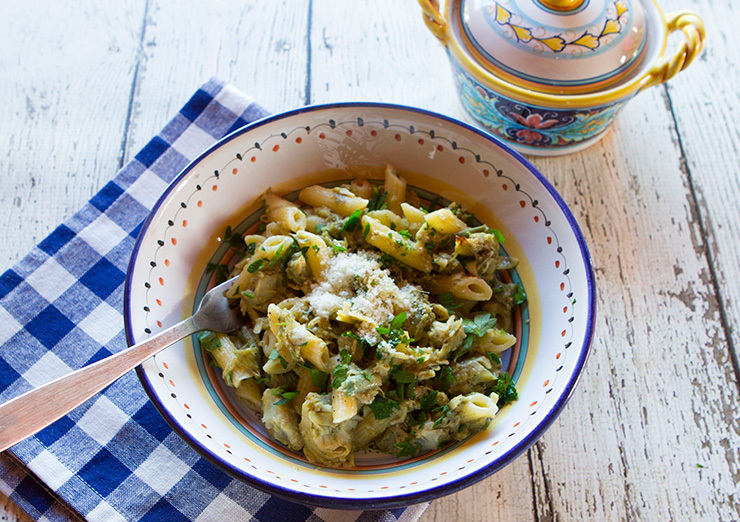 Serve in individual bowls with grated Pecorino cheese on top.